CreIf you’re visiting Texas and will be in the Austin or Dallas areas, don’t miss the perfect chance for a most relaxing girls’ getaway than those offered by Hiatus Spa + Retreat. Hiatus is among the small circle of day spas that does it right: an ambience blend that actually makes you feel, body and soul, as if you’ve snuck away to a high-end spa resort somewhere far, far way. 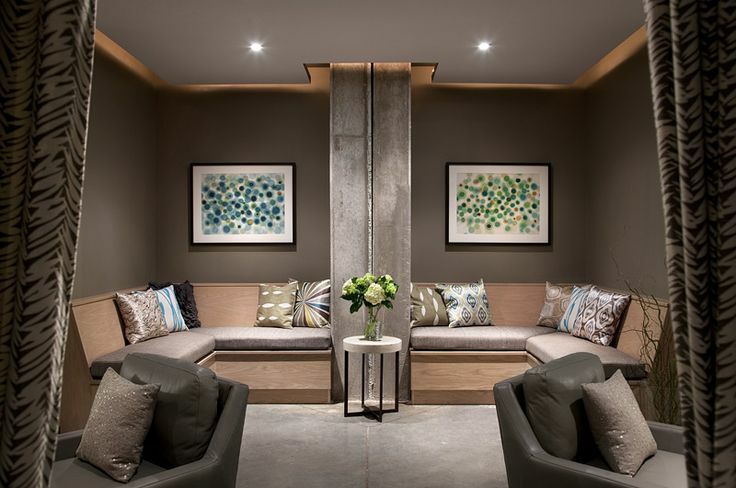 The instant that you’re ushered back into the facilities and waiting area, the relaxing blend of lighting, sound and service allows you to slough off the day — perhaps even the month — and let your body and mind to be pampered through and through. Hiatus offers a different signature retreat each month, and is celebrating April as Earth Month with a retreat called “Earth’s Embrace.” This delectable retreat celebrates Earth’s riches in a luxurious, skin-quenching experience while conserving water in honor of Earth Month. The treatment begins with a gentle dry brush exfoliation, followed by a blend of melted cocoa and shea butters infused with a comforting blend of Madagascar vanilla, cinnamon, and ylang yang that is spread over the skin with warm volcanic stones in a full body massage. A reflexology session deepens the relaxation until the guest is awakened with an energizing cool stone facial massage. The eighty-minute service will conclude with a rhum agricole ti punch cocktail, luminous skin, and the knowledge that the service has contributed funds to local clean water initiatives. By the way, Hiatus does more about conservation than just this treatment focus; the company strives to be earth-friendly throughout the year and has made the environment a cornerstone of its business philosophy—from initial build-out to ongoing initiatives such as bottle cap recycling, 100 percent wind-powered energy, VOC-free paint finishes, post-consumer recycled paper printed with soy ink, and no-bottled-water policy. Hiatus is being ambitious with its Earth Month goal of raising $10,000 to benefit regional nonprofits and clean water initiatives. They are doing so through earmarking 10% of the spa service, a fundraising raffle featuring over $5,000 in spa product and treatment giveaways, and the third annual exclusive print, Flow, by Austin-based artist Jan Heaton. 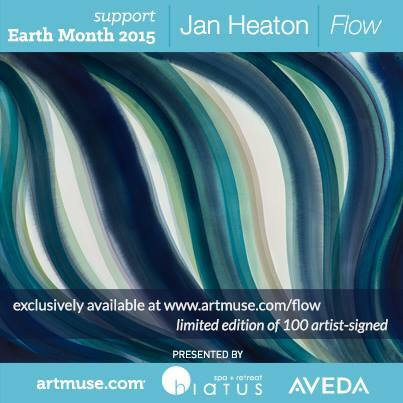 This limited edition signed and numbered print is a unique opportunity to own a print from Heaton, whose nature-inspired abstract watercolors adorn the walls of Hiatus. You can keep the spa effects going in May with the Hiatus Mother’s Day Special Retreat: Sun Kiss, an 80 minute treatment at $195 (or $128 H-circle member pricing). Sun Kiss is an uplifting treatment that leaves you glowing from head to toe. Dull, tired skin is briskly polished away with Dead Sea Salt, Organic Sugar Cane and the energizing essences of Lemongrass, Grapefruit and Orange. After the cleansing rain of the Vichy Shower, enjoy a full-body massage with a stimulating blend of acupressure points and plant essences to enliven your senses. Your experience ends with a fizzy lemon and orange flower water cocktail – the perfect start to the warm summer months ahead! For more information on Hiatus Spa + Retreat and their 3 locations in Austin, Dallas and Plano, visit hiatusspa.com or follow Hiatus on Facebook @HiatusSpa.